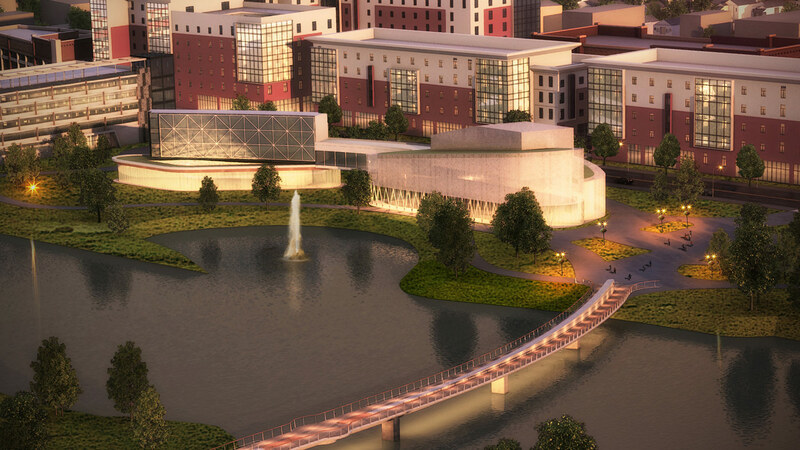 The Aurora Municipal Downtown Redevelopment and Riverwalk is viewed as the catalyst to Aurora's downtown redevelopment. 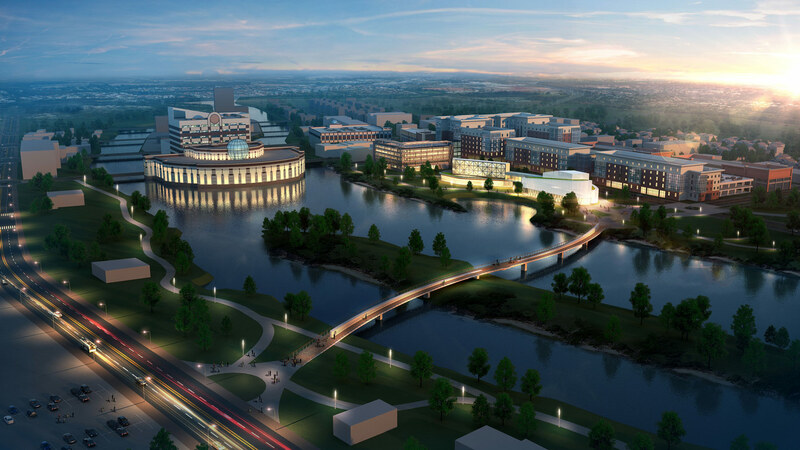 The initial $10 million project included an extensive commercial and retail base with riverfront restaurants and a 350-car parking facility. The design for new Fountain Plaza, Riverwalk, Riverwalk Fountains, and Riverwalk Pavilions celebrates Chicago's rich architectural heritage yet looked forward to the new millennium. 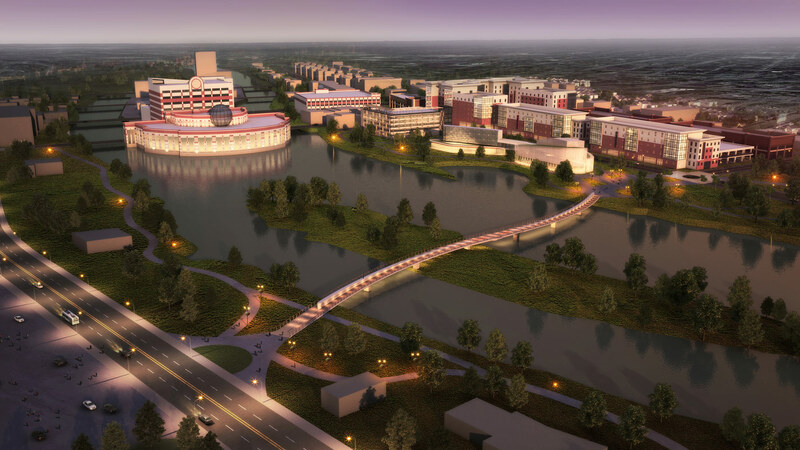 Contemporary design and construction techniques combine with aesthetic "placemaking" to bring revitalizing energy to the rich history of Aurora's riverfront. A key feature of the new Riverwalk is the Municipal Fountain. The brick accented cast stone detailing for this, as well as the Riverwalk Pavilions, parking structure, and elsewhere along the Riverwalk, is reminiscent of the Batavia riverstone used for the historic GAR Pavilion and elsewhere in Aurora and vicinity. The Municipal Fountain Plaza and Riverwalk Pavilions, and Riverwalk accented with Riverwalk fountains, create a festive, welcoming presence along the river. 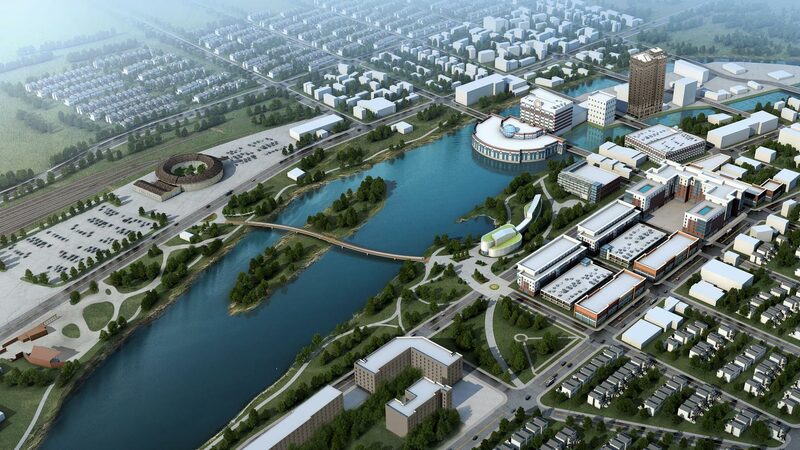 Cordogan Clark recently updated its earlier designs for the Aurora riverfront with enhancements for the new millennium.